Cold, dark mornings and colder, darker nights often mean leaving the comfort of your duvet/sofa is a struggle. If this sounds like you, you’re not alone. 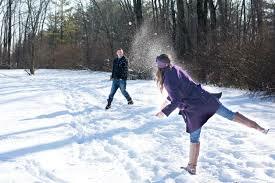 Many of us struggle to keep active during the winter months. Only the craziest of fools would brave the elements to pound the pavements or have a knock up on the outdoor tennis courts in January or February. Right? But you too, can be a crazy fool! All it takes is knowing where the fun’s at, a whole heap of enthusiasm and layers. Definitely lots of layers. 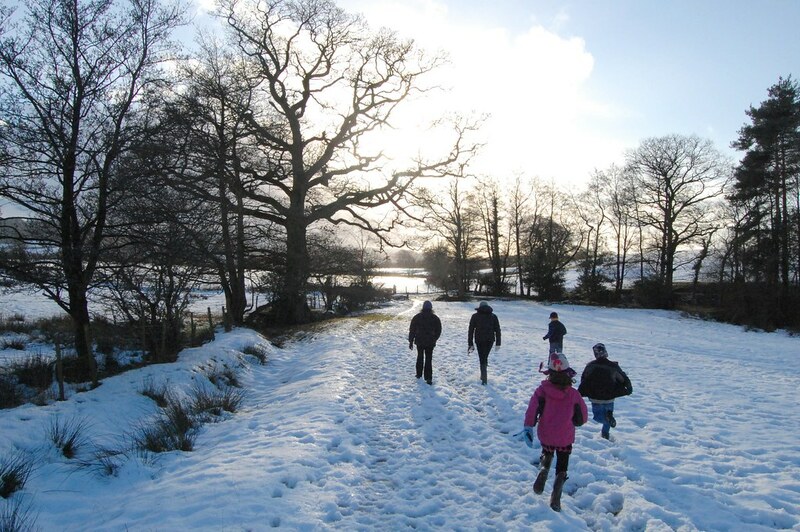 Going for a winter walk is not only refreshing and good for our fitness levels, it’s also good for our overall health. We need vitamin D to help keep our teeth, bones and muscles healthy, and this vitamin is now also linked to our mental health too. I mean, is there nothing a winter walk can’t solve? It’s free, too. Foods such as oily fish, eggs and dairy products are good sources of vitamin D, but the majority is made by the body when sunlight hits the skin. There aren’t many days when the sun shines for long during the British winter, so make the most of them when it does make an appearance! A 20 minute lunch time walk with your face exposed to the sun (and any other body part you dare to bare) will definitely blow away some cobwebs. It will help stimulate the production of vitamin D, too. Why not start your own walking lunch club at work, to add in a bit of fun and make it a social event? If you really can’t get on with running for example, especially solo, then the winter months aren’t the time to start. You don’t have to join a gym to get the social benefits of group exercise, either. Many group fitness classes are held in school or community halls, where you can sign up for the classes you’re interested in. Find your nearest ice skating rink and make like your favourite celeb on Dancing on Ice or channel your inner Torvill and Dean. During the winter there are often popup, temporary outdoor rinks that play music and have a really fun vibe. Maybe hold onto the sides for a few laps if you haven’t set foot on an ice rink in decades. But once you find your groove, you’ll be amazed how fun ice skating can be. As you skate, keep upright, with your core engaged and try to get up a safe speed that makes your heart race. Wrap up warm, bring the family along, or meet up with pals and have more fun whilst keeping fit than you’ve ever had on two blades! 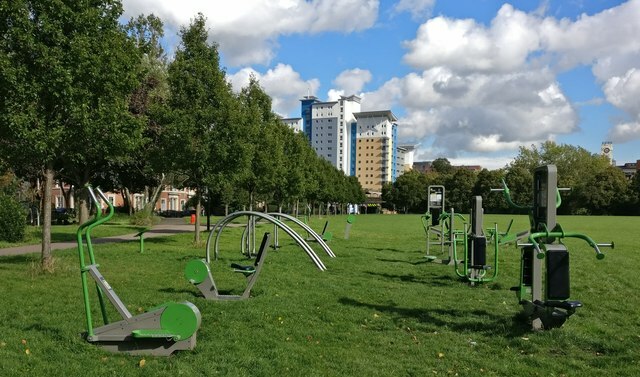 Outdoor gyms are popping up in towns and cities all over the UK. They’re designed to help tone, build muscle and improve flexibility, all for free. Use them mid-way through a run or a jog, or meet a group of friends at your local outdoor gym to encourage each other to go one better than last time. The Conservation Volunteers also have an exciting way to have fun, get fit and be part of a social group all at the same time. Their Green Gyms are dotted about the UK. They encourage volunteers to work up a sweat by digging, weeding, planting and path clearing in local green spaces. Find your nearest Green Gym and feel good as you do good. Get social as you get fit! Outdoor social fitness groups are a great way to stay fit, get motivated and meet like-minded, local people. 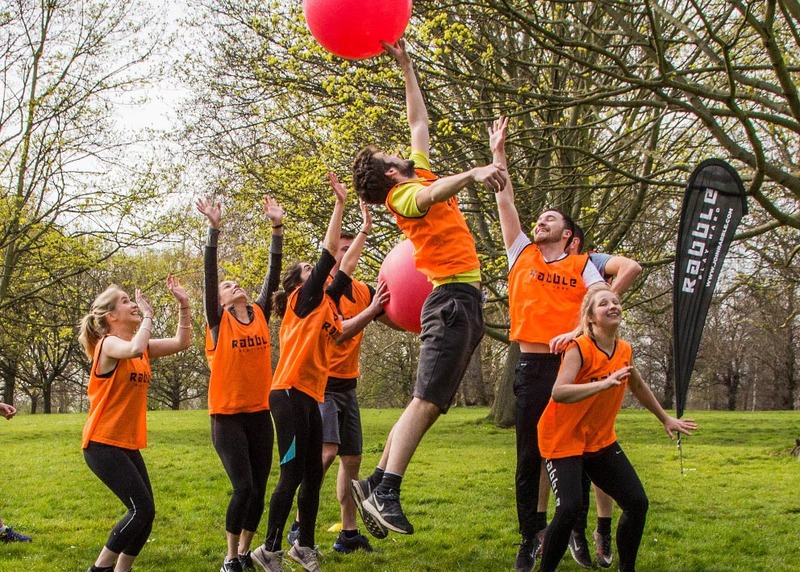 Join a local football team, tennis club or your local Rabble game for some fun fitness, guaranteed to help you kiss goodbye to the dull fog of winter. So even if you have nothing but your trusted 1980s tracksuit or PE kit; don your sweat bands, pull out the leg warmers and get moving. Stat!